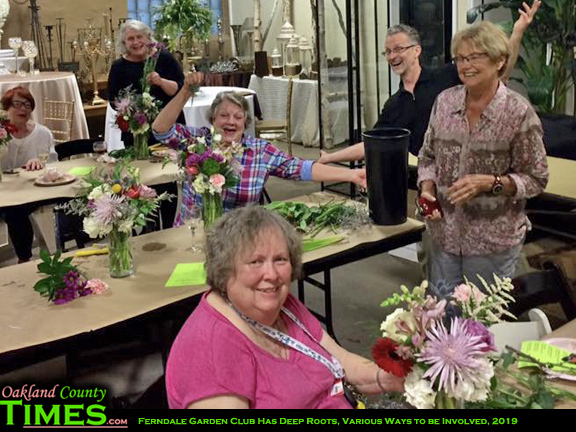 Ferndale, MI – The Ferndale Garden Club has deep roots in Ferndale and the surrounding communities. 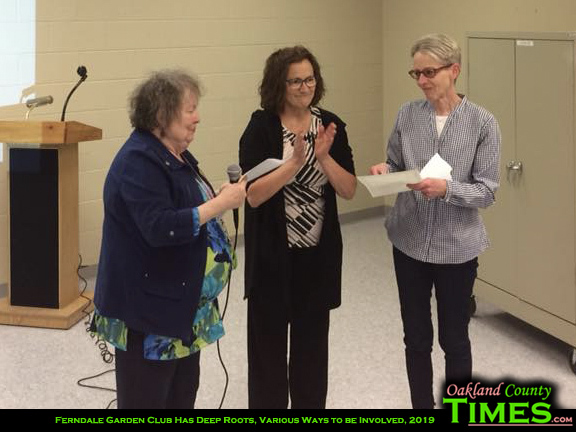 Founded in 1931 by a group of like-minded gardening enthusiasts, the club seeks to share their love of gardening with their neighbors in Ferndale and surrounding towns. While most members live in Ferndale, the club has members from Oak Park, Royal Oak, Detroit and Warren. 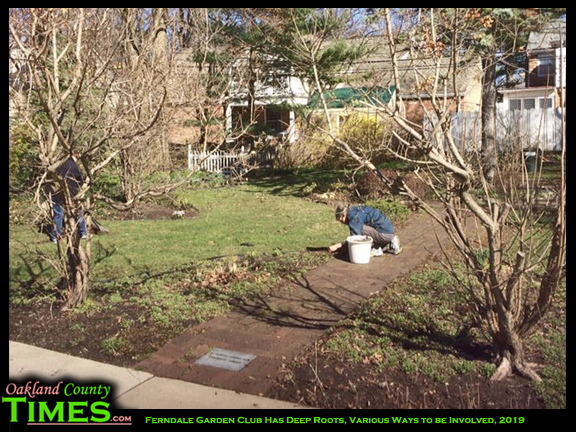 The club includes members with a diverse array of gardening abilities, from master gardeners to beginning gardeners. All club members do share a civic-minded spirit that is reflected in the many programs and activities sponsored by the club. 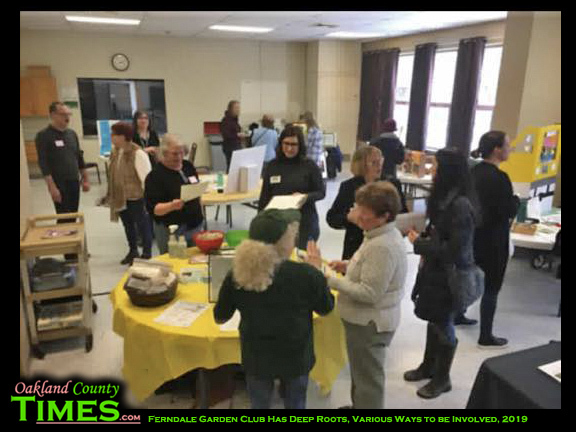 Recently, the club hosted a Think Spring Gardens event and community seed swap. Community members were invited to come and learn about the importance of pollinator plants in a garden and all attendees left with free pollinator plant seeds to grow at home. 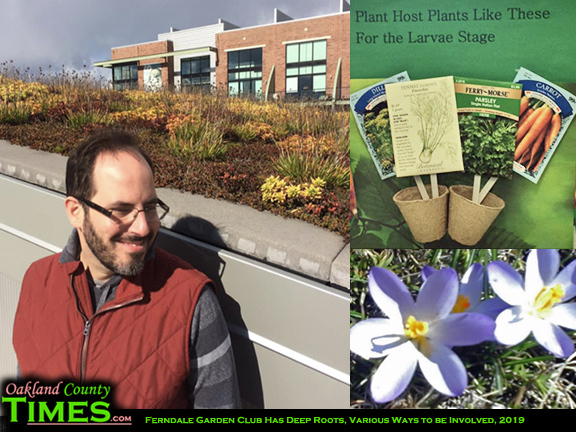 The club continues their mission of gardening education at their monthly meetings where past meeting topics have included beekeeping, edible weeds, composting, urban chickens and more. The Ferndale Garden Club cares for a garden at the intersection of Livernois and Oakridge in Ferndale. The public is invited to relax and take a few moments to recharge their soul in the refuge of the garden. Beginning in 1989, the club has awarded a scholarship to a graduating Ferndale High School student. The club raises funds for the scholarship throughout the year and works closely with Ferndale High in selecting a recipient. The club also donates ecology and gardening themed books to local elementary schools. Residents interested in helping beautify Ferndale can participate in the Adopt-a-Garden program. The Club is partnering with Ferndale Parks and Recreation in this fun and engaging program. Ferndale residents are invited to help design, plant and maintain the Zen Garden in Harding Park. Contact Ferndale Park and Recreation if you are interested in lending a hand. 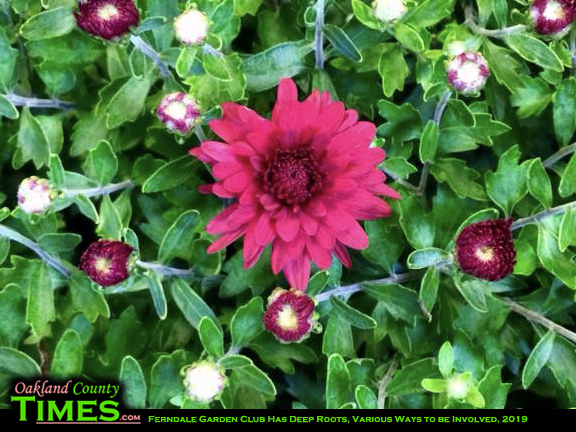 If you love gardening, consider joining the Ferndale Garden Club. 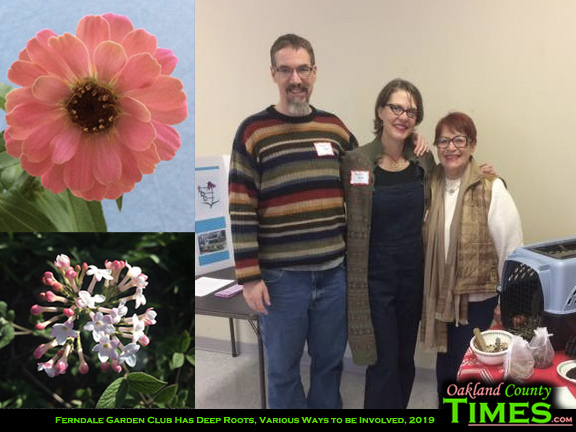 Our monthly meetings feature engaging lectures on gardening, home-baked treats and coffee and a chance to meet face to face with fellow gardeners. Club members often bring plants and seeds to share at the meetings. The club has yearly dues of $20. Dues help support the monthly speakers, the scholarship and the many civic-minded projects around Ferndale. Meetings are held the second Tuesday of the month, 7:00pm-8:30pm at the Kulick Center in Ferndale.